"Hello, and thank you for visiting my website! I am Sharon MacDermid and you are invited to join me on an exciting musical adventure learning to play the piano. These lessons instill the love of learning, thereby creating an environment of accomplishment, enrichment, joy, and finally *fun*! With this happening students will become engaged to do the rest....and will amaze themselves and everyone around them!! Some endeavors *COME AND GO* but learning to play the piano offer GREAT BENEFITS, INCREDIBLE OPPORTUNITIES, and FUN-FILLED ENJOYMENT. These are rewards that last a *LIFETIME.*. 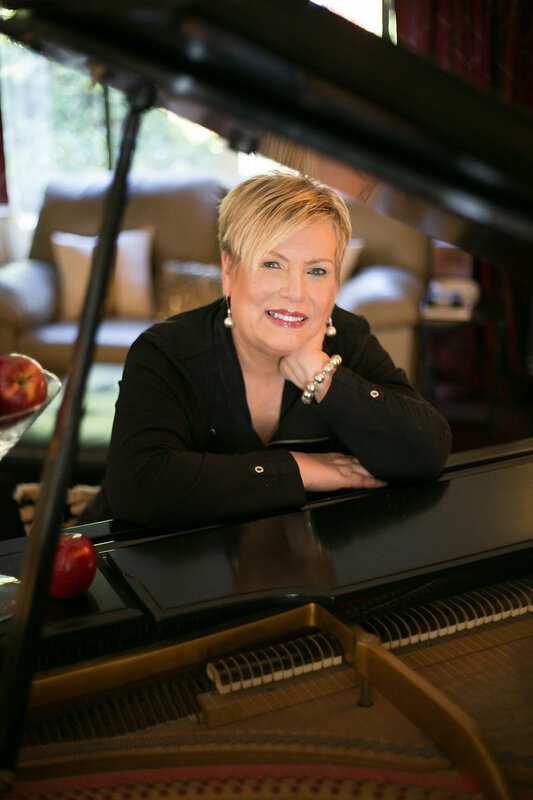 My goal is to prepare, challenge and encourage students as they pursue their musical goals and dreams, but, MOST OF ALL I am dedicated to inspire and help develop a love for music and a love for playing the piano." Are you looking for something *DIFFERENT* than the usual *turn page* lessons? Consider these BENEFITS and DIFFERENCES in this *UNIQUE ONE OF A KIND APPROACH* that is not just piano, but includes what you want to know about music that makes learning fast, easy and fun!! Customized Lessons Lessons are Customized Appropriately for *ALL AGES AND LEVELS. * Recognizing that students have unique needs, interests, and goals, lessons are carefully planned to *Challenge, Encourage, and Motivate* each student to reach their highest musical potential. Robert Pace Approach This is a *one of a kind* Approach. Many have tried to *copy* it but NONE are as Comprehensive! Certified Pace Teachers undergo intensive training. It encompasses more than many college pedagogy classes. Repertoire includes *ALL GENRES* (Classical through New Contemporary Styles). It reflects each student's needs, age, and requests. Creativity Improvising, Arranging, and Composing teach students how to DISCOVER AND CREATE THEIR UNIQUE MUSIC to enjoy and share with the world from the very first lesson! "Off-Bench" Activities Games, Flashcards, Board Work, and other "Off-Bench" activities support the curriculum and make learning fun. Musical Apps are available for those who have access to an iPad. Apps for many different facets of learning music are utilized by using modern technology that makes learning fun. Students love to spend time playing games on their iPads. Musical Apps add educational value and benefits while having fun! Incentives add excitement and enthusiasm to *REACH* and *RAISE* musical goals. Remarkable Progress is the inevitable outcome when faithful practice is applied! Lessons are held in a *friendly, professional* setting that raises curiosity and cultivates a desire to learn. Students receive *positive encouragement* to reach their musical goals and to discover how fun and easy it is!! Whether great or small each achievement is recognized and celebrated. My greatest joy is to equip students with the necessary tools, confidence, and enthusiasm to independently learn, create and receive artistic fulfillment that will last a lifetime. Over 25 years of Teaching, Performing and Accompanying Experience. You are invited to join A Keyboard Experience to begin your new musical journey. It is never too early or too late to experience the joy that music brings. A *Complimentary Interview* is offered to discuss questions and the available options for lessons. I look forward to meeting you!